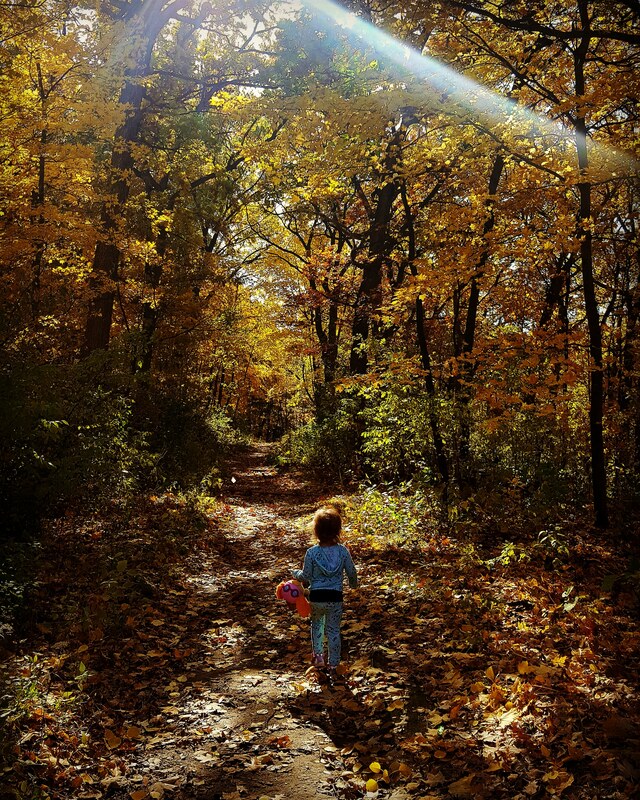 This entry was posted in Art, Autumn, Family, Mandalas, Nature and tagged Autumn, Family, Mandalas, Minnesota, Nature. Bookmark the permalink. That last photograph — heavenly! 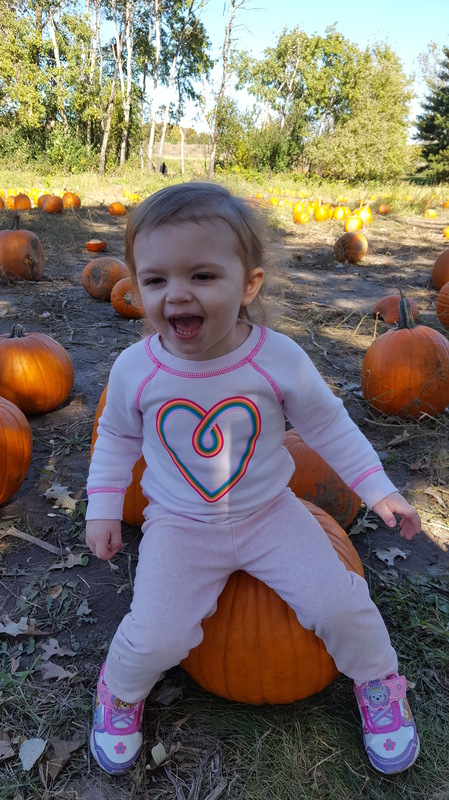 Your mandala is as beautiful as the memories you’re creating for your adorable granddaughter! 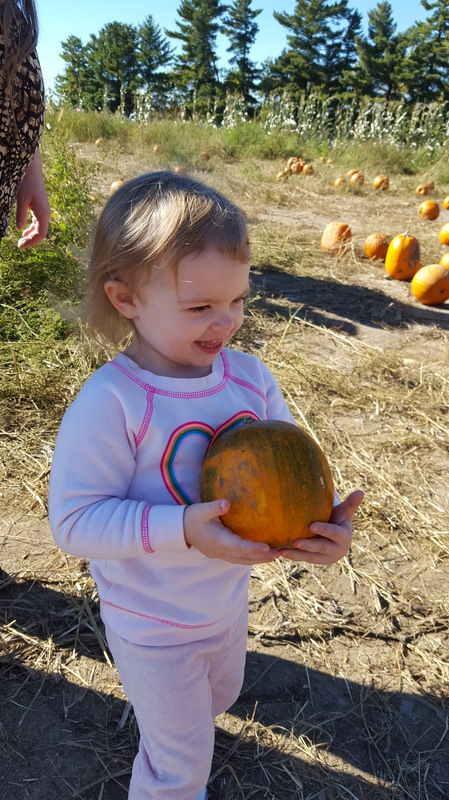 Your granddaughter is sweet – so proud of her pumpkin! 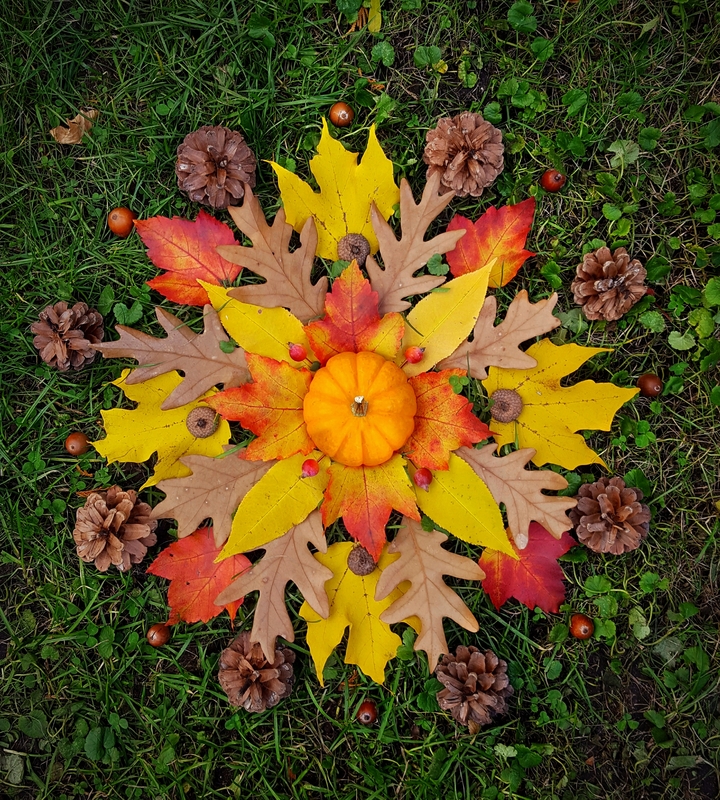 Your mandala is gorgeous and I’m amazed at how perfectly colored your leaves are. Healthy trees! So so sweet. She is absolutely lovely! My pleasure, she is precious. 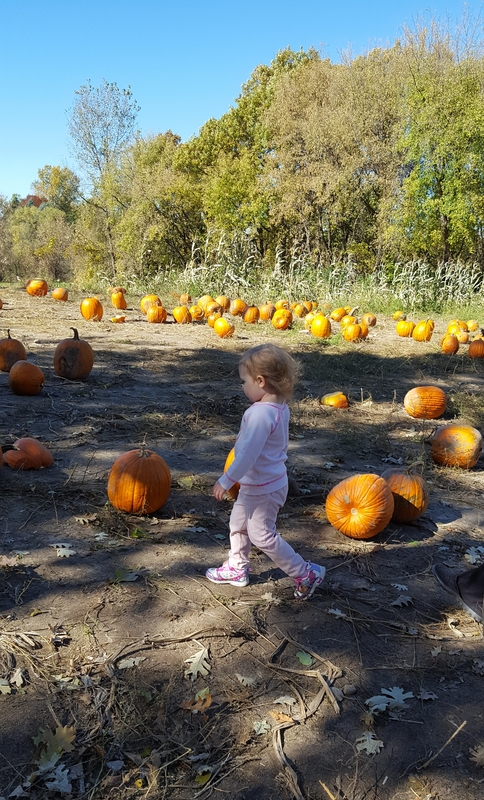 It is important to have a designated pumpkin bringer home person. She did good !